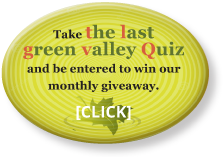 Each month, members of The Last Green Valley are invited to participate in a program or activity offered only to our members. Some programs are free of charge and other require a registration fee. Programs are listed in periodic e-newsletters and emails to TLGV members prior to each monthly program. Over the past several years, we have enjoyed behind-the-scenes-tours of area museums, craft shops, farms and greenhouses, tasty learning experiences at an area restaurant and a local maple sugar house, river paddles, town green tours and downtown architecture tours, as well as hikes and explorations. To learn more about up-coming programs, or if you have suggestions for future programs, please contact Bill Reid at 860-774-3300 or email bill@tlgv.org. Be sure to review each e-newsletter for the list of Member-Only Programs, sign up right away, and join the hundreds of TLGV members who take full advantage of all their benefits! Not a member? Join us and become a part of The Last Green Valley Family.